Running is a classic way to exercise. It’s easy, effective, and you can do it anywhere. It’s been shown to help promote weight loss, increase lean muscle tissue in the legs, and trigger the release of feel good chemicals. When you want to boost testestosterone, can running help? When it comes to weight lifting, the science is pretty straight forward. If you’re lifting weights and not over-training, then you’ll increase your testosterone levels. It’s not as simple with running. Yes, running can increase your testosterone levels but it can also decrease your T levels if you are doing the wrong form of running. 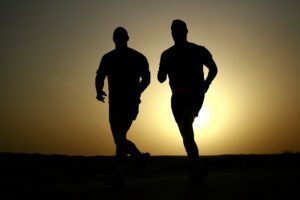 Endurance runners or those training for long distances such as marathon runners have been shown in a variety of studies to have lower testosterone than their non-endurance focused counterparts. With that said, there is one form of running that has been shown to boost test levels: sprinting. Sprinting involves short bursts of running at maximum effort. This high intensity form of running is exactly what you need to do when you want to continue running and boost test levels. 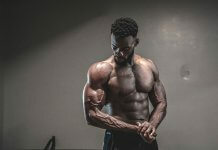 A popular study published in the British Journal of Sports Medicine demonstrated that subjects who performed sprint workouts, also known as circuit training workouts, showed an increase in total testosterone levels. If you’re looking for a running workout to help boost your testosterone levels, try the one below. Make sure you perform the workout at an intensity that challenges you but that doesn’t push you into the area of over-training. 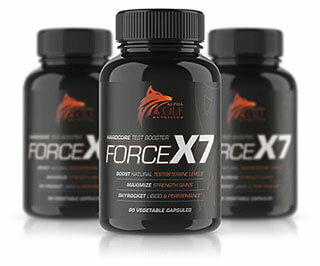 Remember that rest and recovery is also a proven way to support testosterone levels. Repeat this pattern for up to 10 minutes. Are you a runner? 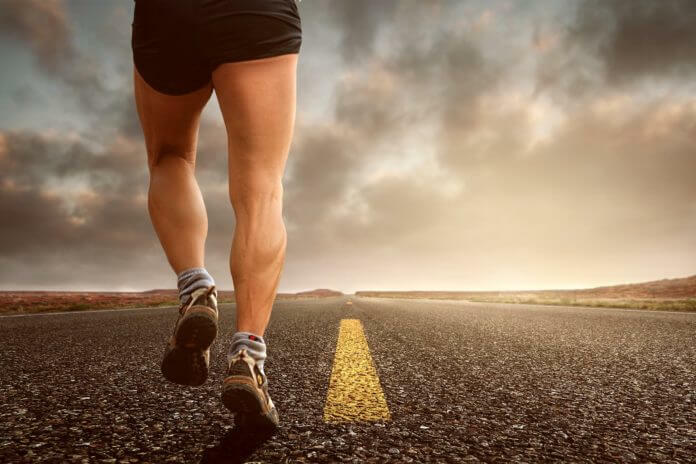 Have you noticed low testosterone levels when you train for marathons? Have you tried sprinting? What benefits have you experienced? Let me know in the comments below!